Explore the mystery of the Moai, whitesand beaches, and Polynesian culture on the world's most remote inhabited island. 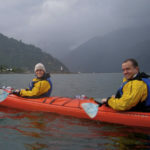 Below you’ll find some basic information about some of our favorite regions in Chile as well as some suggested Chile itineraries. Knowmad is a Chile travel expert and is happy to build a no-obligations custom trip proposal for you based on your regions of interest, or by combining a variety of suggested itineraries and customizing based on your preferences and style. Click for more information on the custom trip planning process or to design your trip today. Below are just a few of Knowmad’s favorite, hand-crafted travel itineraries. These trip ideas seamlessly blend Chile’s must-see highlights with off-the-beaten-path explorations all the while taking into consideration the best flow and pacing necessary to truly experience each region they include. This remote region at the end of the Andes is worth every mile of travel. Including Torres del Paine National Park, Cape Horn and the Tierra del Fuego, it is as vast and sparsely populated as it is dramatic. Approximately 500 years ago the first Europeans along with Ferdinand Magellan sailed around the bottom of South America and Cape Horn, and to this day the region draws in and captivates explorers and travelers. Patagonia is indeed remote, the window of nice weather short, and its lands rugged, but these are the very qualities that draw adventurers from around the world. The rugged natural beauty of the Patagonian landscape goes beyond words and expectations. Granite towers thrust some 6,000 feet from the expansive plains dotted with glacially formed turquoise lakes. Southern beech forests dot the land while enormous glaciers continue carving the landscape. This pristine beauty comes to its height in Chile’s Torres (Towers) Del Paine National Park, which contains vast networks of trails to access thousands of acres of wilderness and wildlife. Some say it is like Yosemite and the Grand Tetons rolled into one, and we say it offers some of the best Patagonia adventure travel and trip opportunities possible. 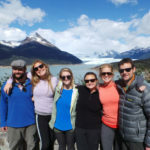 TORRES DEL PAINE NATIONAL PARK Endless trails are set amongst an inspired backdrop of jagged granite peaks, massive glaciers, cascading waterfalls and turquoise lakes and rivers. A mild microclimate and long days make for very pleasant conditions between November and early March in this park at the end of the world. In and around the park you can find some of the world’s best adventure lodges offering comfortable basecamps from which to explore, in addition to camping and expedition opportunities. If choosing to stay at a lodge, it’s worth considering that some inclusive adventures lodge such as Explora or Patagonia Basecamp include transfers with your stay. The long journey is very expensive if arranged privately and not on public bus. If staying in a lodge take the 6:30 a.m. flight from Santiago so you arrive to the park during daylight. Volcanoes, fjords, temperate rainforests and lush valleys make this stunning natural paradise ideal for fishing, rafting and other outdoor activities. The region also features colorful and varied cultures. Highlights include Puerto Varas and Lago Llanquihue, the Cochamo Valley, and the Chiloé Archipelago. PUERTO VARAS & LAGO LLANQUIHUE Enjoy views of the volcano-filled skyline in the towns along Lake Llanquihue, an area characterized by a large 19th century German migration and the original Mapuche inhabitants. COCHAMO VALLEY The ‘Yosemite of Chile,’ this little-known valley surrounded by granite peaks and azure rivers is home to gauchos and homesteaders who continue to live as they have for centuries. CHILOé Known for its folklore, craftsmen, seafood and colorful stilt houses, Chiloé is a mystical group of Patagonian islands. If you have less than five days to visit Patagonia, the Northern Patagonia/Southern Lakes District may be best as it requires much less travel time than further south which has a five-hour overland transfer and a longer flight. Also, for those who don’t like the often-hefty price tag of trips in Torres del Paine, this region is an awesome alternative with stunning beauty at a much lower cost of travel. Imagine a place where you can ski breathtaking mountain peaks in the morning, lunch in a vineyard, and catch the sunset on a beautiful beach. This is Central Chile; where you find capital city Santiago, the Andes Mountains, Chilean wine country, and the coastal towns Vina del Mar and Valparaiso. SANTIAGO Bustling street-side markets, countless museums and parks, and a lively international and regional culinary scene lie amongst architectural styles both old and new in this capital city. ANDES MOUNTAINS World-class ski resorts and an infinite amount of backcountry terrain lie just an hour outside Santiago. WINE COUNTRY The world is waking up to Chile’s over 400-year-old tradition of winemaking. Virtually the only producer of the Carmenere varietal, Chile has an increasingly refined approach to winemaking and is winning praise across the globe. VALPARAISO Named a UNESCO World Heritage site in 2003, ‘Valpo” is undoubtedly one of South America’s most intriguing cities. Wander its labyrinth of cobblestone streets and ride the cable car elevators through eclectic hillside neighborhoods. If you have only a couple days in Central Chile, consider that there are excellent wineries northwest of Santiago in the San Antonio and Casablanca Valleys that can be visited in a day while en route to coastal Valparaiso and Vina del Mar. This means you can have a taste of wine country and also visit the coast in one or two days, avoiding the driving required to visit the wine region of Colchagua to the south. The well doesn’t run dry of things to do in the Atacama Desert. Stroll the adobe streets of Atacameno villages, see petroglyphs and ruins, or visit bubbling geysers and salt flats. If you’re feeling more active, you can mountain bike through remote high-country villages and fly down sand dunes, horseback ride in the canyons, or hike a volcano. Just be sure to stay awake for the out-of-this-world moonscape and stargazing. Relatively unknown to the North American traveler, the areas around San Pedro de Atacama blow visitors away with a diversity of landscapes and depth of beauty. The hardest part of any Atacama trip is choosing which adventures you’ll do, as there are more options than one could ever have time to explore. Here are just a few. El Tatio Geyser The world’s second largest geyser shoots columns of water over 40 feet high and sits in a vast valley with volcanoes towering in the distance. Best viewed at sunrise, enjoy a picnic breakfast at the geyser before a soak in the Puritama Canyon hot springs while watching for vicunas, foxes, Andean ostriches and other wildlife. Tara Salt Flat – Salar de Tara This vast salt flat almost to the border with Argentina is often filled with multiple species of flamingo and is flanked by llamas. See the odd igneous rock formations the ‘nuns’ of Tara that surreally shoot into the air out of this vast plateau. Death Valley, Valley of the Moon Take in both of these surreal valleys on one circuit with incredible views as well to the Salt Mountain Range and the Andes Range. A must visit area in Atacama for photography. Both LAN and Sky airlines, which service Calama airport for Atacama, tend to publish additional flight times about three months in advance. If there aren’t flight times available convenient for you, consider that more flights may be available at a later date. Some 2,000 miles off Chile’s coast lies Easter Island. Its gigantic Moai statues continue to mystify archeologists and anthropologists who know little about them or their Polynesian sculptors. Examine cave petroglyphs, discover deserted beaches and learn to dance Rapa Nui style while searching for answers in this tropical paradise. While Easter Island is small, interesting sites and landscapes abound making it worth circumnavigating the entire island on the one small principal road and spending at least a few days. Anakena Beach The white sands and swaying palms of Anakena are an ideal end to a great day of sightseeing. Not to mention two major archeological sites are a stones throw away as well as several caves where it is rumored Easter Island’s first inhabitant dwelled. Ahu Vinapu Findings of moai particular in shape and form suggest relation to the Inca make this site of particular archeological interest. This depends entirely on what region(s) you would like to focus on. The summer season is November through March. During these months Central Chile will be hot and dry, in Patagonia temperatures will be mild and comfortable with less precipitation than other times of year. Traditionally, the best time to travel to Patagonia is considered to be November through March. Below are a few more specifics according to region. Patagonia The dry summer season is November through March, but it can rain anytime of year and can also get windy. Daytime temperatures during this season are typically in the 50s and 60s °F (10-16 °C). The Northern Patagonia is similar to Southern Patagonia but a bit warmer and wetter. During winter, Northern Patagonia is quite rainy and Southern Patagonia is cold and could have snow, although during these times there are very few visitors so if you don’t mind the cold or occasional rain, it can be a great time to visit. Central Chile Central Chile has a Mediterranean climate similar to the middle parts of California, however the seasons are opposite those in North America and Europe. Expect daytime temps between 70-90 °F (21-32 °C) between November and March, and between 45-65 °F (7-18 °C) other times in the year factoring in coastal breezes if in Valparaiso, Vina del Mar or Cassablanca Valley. During the winter months (May-September) Central Chile is still very nice to visit, as it is climate is quite mild. Easter Island A marine subtropical climate, temps in winter (Jun-Aug) range between 60 and 75 °F (16-24 °C), and hover in the mid-80s (29 °C) the rest of the year. A persistent light breeze makes it very comfortable. It can downpour quickly and briefly anytime of year, but rains are generally hard and fast and move on just as quickly as they arrive. Atacama and the North Although the weather is hot throughout the north like most desert regions, San Pedro de Atacama and some other popular destinations are at extremely high elevations. Temps fluctuate greatly and mornings and evenings can be decidedly cool after sundown. Prior to your departure, we provide you with a detailed pre-trip information packet, which includes a recommended pack list, information about the regions you’ll be visiting, suggested readings, and up-to-date health information including any recommended vaccinations. You can also visit our frequently asked questions on Chile.